Glynn C. Williams has consulted and implemented SAP SD in more than 34 countries, having been on location in more than 17 countries within the last decade. 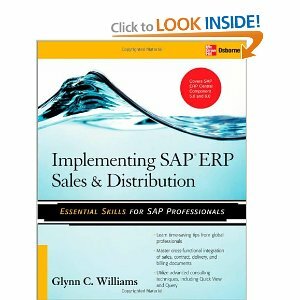 He is the author of the bestselling prior edition of this book, Implementing SAP R/3 Sales & Distribution. Glynn’s clients are among some of the world’s largest companies, including Hewlett-Packard, Honeywell, and Schneider Electric.